Christmas and New Year Greetings in the Name of our Lord and Savior, Jesus Christ. When it comes to reflecting upon what the Lord has done for us in the past year, I know I speak for all of us, in thanking the Lord for the men who have given themselves to the ministry of the Church. This also includes their wives and those women who have given themselves to serve as deaconesses. When we look around at the culture in which we live, they are committing as Traditional Anglican to marching against the grain. This is no easy life, but one that will mean walking in the steps of our Lord. It will also mean that our established parishes must be willing to provide a place of training for our new men before they are on their own. This is part of our challenge for the new year and the years to come. I want to express thanks to our Global Partners which are part of our Anglican Province of America. We were able to visit the Anglican Church of India with Bishop Jaya Rao in Andhra Pradesh and most of the village churches in that far-flung Province. We also visited the Good Shepherd School in Telangana Province which we helped build with OM (Good Shepherd Ministries). For those who do not know, all of those we minister to are Dalit (out-castes) of the Hindu Religion. A mission team including Bishop Chad Jones and Dean Ralph Waterhouse visited the Indigenous Pastoral of the Anglican Province of America in Ecuador for Ordination and Confirmation. We also give thanks for Fr. Mews Guerrier of our Church and School in Haiti. Father Mews and his wife Gisele lost their young daughter, Faisa, in a tragic car accident this year. And, also pray for our Churches in the Philippines under Fr. Joel Arellano. All of these Global Partners are under the Pastoral leadership of Vicar General David Haines who administers and also leads the missionary visits. Finally, the great blessing of the Joint Anglican Synods in Atlanta, Georgia, was a highlight of the year. Praise God for the work and good faith on the part of each Jurisdiction of the G-4. It has been a pleasure working with the Archbishops/Bishop and getting to know them all on a personal basis. The Synod(s) went extremely well and the final plenary session was consummated with a Eucharist of Unity. 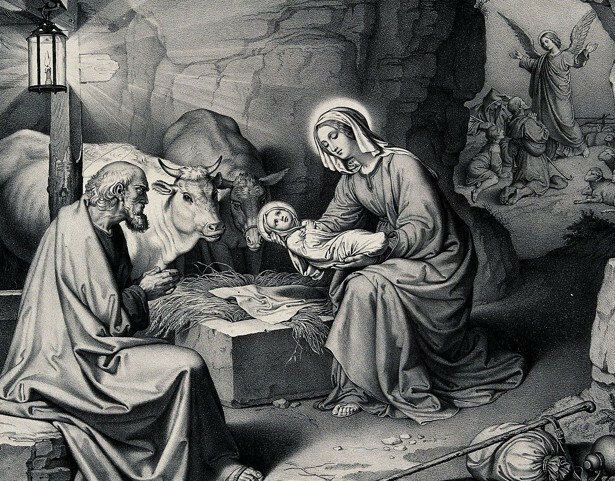 God bless each of you this Christmas and Christmastide and may the love of God through our Lord Jesus Christ fill you with all Spiritual Blessings. Mary joins me in wishing you a Merry Christmas and a Happy New Year! The Most Rev. Walter H. Grundorf, D.D.